Enterprising educators are using Twitter in creative ways, to engage students inside and outside of class, to stay on top of education news, and keep in touch with peers and students. 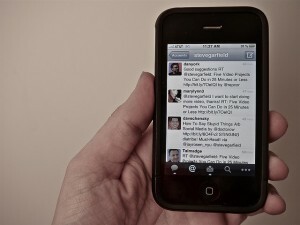 A recent post by Best Online Colleges enumerates 28 ways to use Twitter in class. They've asked me to repost, and I'm happy to share it. Instant feedback: ReadWriteWeb and Mashable both featured Monica Rankin, a history professor at University of Dallas, and discussed how she utilizes Twitter to gather real-time feedback. Students send questions and input to the microblog, which end up projected right there during lectures; Rankin encourages them to study one another’s insights. Answering questions: In a similar strategy to the aforementioned information gathering, some educators streamline the process by allowing students to answer questions via Twitter rather than raising their hands. This greatly aids studying, too, as they can easily refer back via dedicated classroom hashtags. Notifications about completed assignments: Conversely, many students use Twitter now to alert their teachers about when they’ve finished their work. This strategy works especially well for online courses or classrooms taking advantage of internet-based technologies. TwitLit: The 140-character limit offers a nice little challenge for students, and innovative educators and authors like have taken notice. Whether writing poetry, short stories or something else entirely, the site’s unique structure offers up some excellent ways to stimulate creativity. Word, trend or hashtag tracking: Staying on top of what people are talking about opens up users to an incredibly broad spectrum of perspectives. Requiring subscriptions to specific, relevant words, hashtags or trends is a simple (and free!) way to provide such a window into the world. Follow conferences: Some educators may want their students to follow certain professionals and keep track of the various happenings at relevant industry conferences. The more active feeds might even provide links to streaming video or audio! Communicate with professionals: Instead of asking students to merely follow industry insiders, ask them to actually tweet a response and open a discussion — or at least try to, anyways. For high schoolers and the college crowd, this assignment might very well help them discover some personal career goals. Take notes: Similar to the example about facilitating extracurricular discussion, Twitter also provides a quick way for students and teachers alike to take notes. Keeping everyone organized in a list makes it easier than ever to supplement (not replace) reviews for tests, quizzes and assignments. Share a story: Put a social media twist on an old classroom favorite by asking students to play some fun story-go-round games on the famous microblogging site. The first tweets a sentence, the next builds off of it and so forth; try assigning a hashtag to make reading everything faster. Map trends: Combine social media and geotracking with Twittermap, which allows users a chance to plug in and track what people are talking about where. For sociology and marketing students, such technology helps them better understand demographic needs and wants. Play a geography game: Ask eager and willing tweeps to give their location, and put together a project mapping out where in the world they share. For kids just learning about distance, this makes for a lovely way to get them to know more about where everything is in relation to their own cities and towns. ______ of the day: No matter the class, a vocabulary word, book, song, quote or something else "of the day" might very well make an excellent supplement to the day’s lesson. When teaching younger kids, tell their parents about the Twitter feed and encourage them to talk about postings at home. Start a book club: Within the industry but outside the classroom, some educations band together via Twitter and host their own book clubs. A common hashtag and communicative network is all it takes to share insight and recommendations. Follow politicians: Well…ones that won’t "treat" the class to a faceful of wiener, anyways. All the same, though, following them on Twitter provides students with a quick glance at the lives and opinions of people shaping their countries for good or for ill.
Keep up with current events: Similarly, educators can set up lists with different news sources, allowing their students to stay on top of current events. Separate them by field for quicker access and even more comprehensive organization. Capsule reviews: Challenge kids (and adults!) alike to write up reviews for books, films and other materials consumed in class. The 140-character limit teaches them how to remain concise while getting their main points across — and educates their followers in turn. Communication between classes: Beyond facilitating communication within the course itself, teachers may like the idea of connecting with similar ones in other cities, states or even countries. Set up a communal hastag for students and professionals alike to use and exchange their views and lessons. Fun with historical figures: Some instructors ask class participants to set up feeds roleplaying as significant figures in history, approaching microblog technology "in character." Although one could easily incorporate scientists, artists, literary characters and plenty more into the fold as well. Start a meme: Memes actually existed long before the internet, but the virtual world certainly played a major role in bringing the phenomenon to public attention. Anyone studying communications, sociology and psychology can certainly benefit quite a bit from tracking or creating their own examples. Supplement foreign language lessons: Twitter’s unique spacing limitations make for an interesting way to nurture foreign language acquisition. Tweet a sentence in a foreign language at the beginning of the day or class and ask students to either translate or respond in kind as a quick, relatively painless supplement. Review: Nursery school teacher Ana Dominguez of Colegio de Alfragide likes using the popular microblogging tool to review the day’s activities and inform them of anything interesting other tweeps have to say. Not only does it help them reflect on their lessons and their world, but it also serves as a nice, guided introduction to social media. Help students get their names out: College professors hoping to nurture the professional future of their juniors and seniors might like the idea of teaching them the role of social media in job hunting. Business students into the whole "personal branding" fad will particularly benefit from comprehensively exploring such things. Create a twibe: Build networks beyond Twitter itself and set up (or have students set up) a twibe, bringing together other classrooms or professionals. These networks not only serve to broaden one’s perspective, but offer an interesting lesson in how online communities come together, sustain themselves or fall apart.